The hypersonic engine set to enable planes to fly from London to Sydney is about to undergo a crucial demonstration. The Sabre engine is part jet and part rocket, enabling intercontinental travel at five times the speed of sound. As well as being able to fly passengers around the world at record breaking speeds, the engine would also take be able to take vehicles into orbit. It does this by using atmospheric oxygen in its combustion cycle while in the atmosphere, with the engine switching to an on-board liquid oxygen supply. Doing this means that the rocket is able to make it into orbit in just a single stage. In rocket mode, the engine is capable of propelling its vehicle at Mach 25, going at 25 times the speed of sound to get into space. According to BBC News, the core part of the engine has just gone through a preliminary design review, with it signed off by experts at the European Space Agency. The pre-cooler system for the engine is being testing in Colorado next month. The system can take an incoming air stream of 1,000 degrees celsius and cool it to -150 degrees celsius in less than 1/100th of a second. To have a very high-temperature, high-volume flow of air to test the pre-cooler – we needed a new facility. That is now complete. We will be running tests in the next month or two. We will be using re-heated aero engines to drive air through the system. We will drive air into the pre-cooler at up to 1,000C. The core can be tested on the ground, but it’s the core that gets you air-breathing from the ground up to the edge of space, at which point there is no more oxygen to breathe and the system transitions to the pure rocket mode. After these pre-cooler tests,the Sabre team are set to complete the design work before full-system testing in 2020. 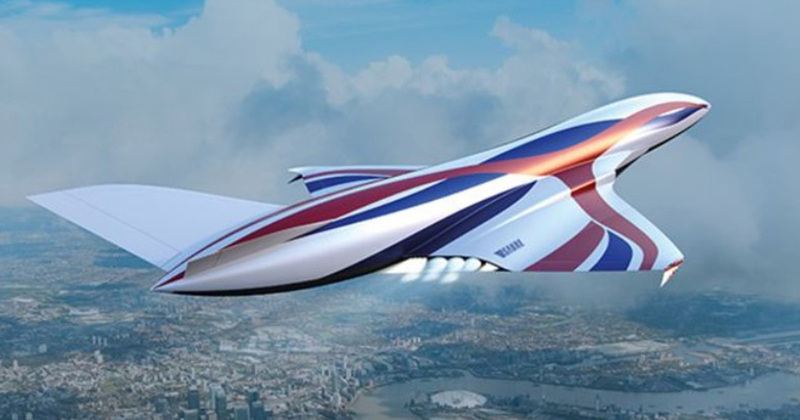 Sabre are claiming their engines are going to revolutionise the way we travel around the globe, and into orbit.